Katarina Raczova is a former fencer who represented the former Czechoslovak Republic at three Olympic Games, was winner of a World Universiade and silver medalist at World Championships. She was 13 consecutive times National champion and won several World and European cup tournaments. She is married and mother of two adult children. She studied Pharmacy in the Comenius University Bratislava (SVK). Katarina Raczova is one of the founders and current President of the Club Fair Play of the Slovak Olympic Committee. She is member of the HALL of FAME of the International Fencing Federation. Mrs Raczova works on a voluntary basis at the Club Fair Play of the Slovak Olympic Committee and also as National Ambassador for Sport, Tolerance and Fair Play at the Council of Europe. She regularly organizes events for children and youth, Fair Play Award ceremonies, Olympic and sport camps to integrate activities aimed at strengthening the ethical dimension of sport. She puts a lot of emphasis onto projects connecting disabled and healthy children as well as national charity projects to raise funds for children’s hospitals and orphanages. 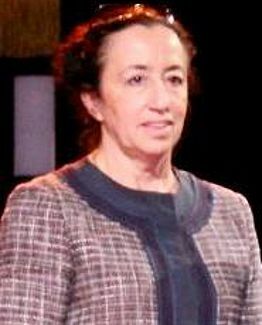 She has been member of the Executive Board of European Fair Play Movement since 2000.